The Ohio State Office of Mothers Against Drunk Driving (MADD), the Ohio Department of Public Safety (ODPS), and other safety advocates joined on November 17 to launch MADD’s annual “Tie One On For Safety®” campaign. The Gallipolis Daily Tribune reported on November 17 that Ohio State Highway Patrol (OSHP) statistics showed 327 people were killed in 297 alcohol-related crashes in Ohio last year—including 27 deaths in 25 alcohol-related crashes between Thanksgiving and New Year’s Day. While the Tribune reported that this is the 29th year for the holiday ribbon campaign in Ohio. According to MADD, Tie One On For Safety® began in 1986 and is MADD’s longest running and most visible public awareness project. People who participate in the Tie One On For Safety® campaign are asked to display a MADD red ribbon in a visible location on their vehicles. The name of the campaign is derived from the popular euphemism for getting drunk. Holidays are always common times of year that result in arrests for operating a vehicle under the influence (OVI), commonly referred to as driving under the influence (DUI). Between Thanksgiving and New Year’s, many people all over Ohio attend holiday parties thrown by employers, friends, or family members. It is not uncommon for a person who has been consuming alcohol at one of these occasions to assume that he or she is fine to drive afterward. In many cases, alleged offenders can be forgiven for thinking they were safe to operate motor vehicles because it has seemed they otherwise had normal use of their physical and mental faculties. These beliefs lead people to confidently submitting to a breath or blood tests, only to be stunned when they are charged with “per se OVI.” In a “per se” case, a person can be convicted of OVI based on the blood-alcohol concentration (BAC) over 0.08 percent or higher regardless of whether the person is actually impaired. Clearly, the safest possible alternative is for anybody attending a party with the intention of consuming alcohol to have a designated driver or some form of alternate transportation. 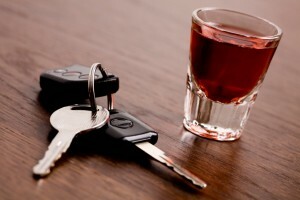 If you are charged with drunk driving in Ohio at any point during the holiday season, you will want to contact a DUI defense attorney in Columbus, Ohio, as soon as possible. Perhaps the best news in the Ohio State Highway Patrol (OSHP) statistical recap of statewide reported activity over Thanksgiving weekend was that that number of traffic fatalities decreased by more than half from 2014. Following annual increased from 12 deaths in 2012 to 17 in 2013 and 23 in 2014, the nine people killed in traffic accidents in the Buckeye State during the holiday weekend was the lowest total of the four-year period. Many arrests and citations, however, increased from the previous year’s figures. More motorists were ticketed or arrested in 2015 for operating vehicle under the influence of alcohol or drugs (OVI), aggressive driving, drug charges, and driving with a suspended license than 2014. The number of felony arrests increased 25 percent from 48 in 2014 to 60 this year. The 498 OVI arrests in 2015 were 11.2 percent higher than the 448 in 2014, and the 212 drug arrests this year were a 19.1 percent increase from the 178 last year. The Thanksgiving holiday period annually consists of the five days from 12:00 a.m. on Thanksgiving Eve to 11:59 p.m. on Sunday. While the decrease in the number of deaths on the road is certainly a welcome development, the number of drivers who were charged with other offenses show that law enforcement in the state is not simply relaxing during the holiday period. The increased police presence is likely to continue for the remainder of the year. The Fremont News-Messenger reported on December 3 that the Sandusky County Sheriff’s Office will have deputies working overtime during the Christmas and New Year Holiday season to enforce traffic laws, with an emphasis on OVI and speed enforcement. The Associated Press reported that state troopers in Ohio recently joined in a six-state crackdown on impaired driving with state police from Indiana, Kentucky, Michigan, Pennsylvania, and West Virginia during the weekend of December 4 through December 6. It is increasingly clear that there will be a robust police presence on roads throughout Ohio for the remainder of 2015. People everywhere should make every effort to avoid getting behind the wheel if they plan on consuming alcohol. If you do not have a designated driver, look into possible public transportation options in your area or consider calling a taxi or rideshare service. Rest assured that whatever the cost is of paying for a ride home (and any fees should your vehicle be towed after a night out), that amount will always cost you less than the several thousands of dollars that are part of any arrest for OVI or driving under the influence (DUI). If you are arrested for OVI anywhere in Ohio, then you should immediately contact an experienced DUI defense attorney in Columbus, for help minimizing the possible penalties you could face. Remember that an arrest is never an automatic conviction, and there may be multiple factors that could lead to criminal charges being reduced or dismissed. The annual Halloween Block Party in Athens, Ohio, draws thousands of people to Southeastern Ohio for several blocks of music and live entertainment. For more than 40 years, people have dressed up and partied during the Block Party typically held on the Saturday closest to Halloween. With Halloween actually falling on a Saturday this year and a minimal chance of rain, a sizeable turnout is expected once again this year. Ohio University students comprise a sizeable number of attendees, but students from many other colleges and non-students alike also partake in the festivities. Inevitably, local and state police are very busy during the Block Party. More than 100 people have been arrested during some years past. A significant majority of these arrests are alcohol-related. While the misdemeanor offense of underage drinking is perhaps the most common criminal charge within the Athens city limits, it is important for people planning on attending the Halloween Block Party to keep in mind that authorities in many surrounding communities know that other Ohioans will be travelling to and from that area of the state this weekend. 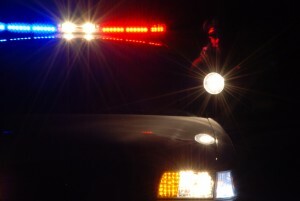 It is safe to expect police throughout the Buckeye State to set up several checkpoints in an effort to arrest alleged offenders for the more serious offense of operating vehicle under the influence (OVI). Out-of-state visitors may know this criminal charge as driving under the influence (DUI) or driving while intoxicated (DWI). Whether or not you are a resident, a drunk driving conviction in Ohio can have serious long-term implications. Even first-time OVI arrests can result in fines of more than $1,000, a driver’s license suspension, and possible jail time. People who are arrested in Athens or a surrounding community cannot assume that these criminal charges will not follow them back home—even if they live in a different state. The absolute surest and safest way for Halloween Block Party attendees to avoid DUI arrests this holiday weekend is to avoid driving altogether. Ohio’s GoBus has several routes emanating from Athens, including such destinations as Columbus, Cincinnati, Cleveland, and even connecting to out-of-state locations like Chicago and Fort Wayne, Indiana. While the GoBus has rather limited hours of operation, it could be in the best interest of some Athens partygoers who do not have sleeping arrangements to simply call a cab. The cost a couple hundred dollars that a taxi from Athens to Columbus would cost is still infinitely preferable to the thousands of dollars and many additional consequences a DUI charge would cost an alleged offender. If you are arrested for OVI anywhere in Ohio on Halloween weekend, you should immediately seek legal counsel. An experienced Columbus DUI lawyer can investigate the circumstances surrounding your arrest and determine the best possible defenses that may result in criminal charges being reduced or even completely dismissed. Ohio Gov. John Kasich signed legislation last month that banned the sale of powdered alcohol, making it the 15th state in the nation to do so despite federal approval earlier this year. The substance, known as Palcohol, is a powdered substance that can be added to liquid drinks to make them alcoholic. Because of its similarity to powdered caffeine, lawmakers included the substance in a bill originally designed to ban the powdered caffeine, according to the Columbus Dispatch. The bill to ban powdered caffeine was drafted after an 18-year-old Ohio man died in May 2014. He ingested a large amount of the substance, which some consider to be highly dangerous. According to the article, a teaspoon of the substance is equal to the amount of caffeine in 25 cups of coffee. The new law will make it a misdemeanor offense to sell products consisting solely or primarily of caffeine that is manufactured into a crystalline, liquid or powdered form. The second offense would be considered a third-degree misdemeanor. Lawmakers argued minors easily could obtain and consume the powered substances, specifically the powered alcohol. This could lead to more reports of underage drinking and juvenile drunk driving offenses. Additionally, lawmakers in favor of the ban argued the powered substance could make it difficult to determine what amount is safe to consume. For instance, if a person consumes a beer with a clear alcohol content label, he or she could determine a safe amount. The powdered substance, however, could make it difficult to determine the actual alcohol level in a beverage. This presents a serious danger to those consuming the drinks, especially if he or she gets behind the wheel. The penalties could be much worse for an underage DUI. In Ohio, the legal limit regarding a DUI for a driver younger than 21 years old is a blood or breath alcohol concentration of 0.02. This is a quarter of the legal limit for drivers who are of legal drinking age in The Buckeye State. When an underage driver is pulled over with a BAC more than 0.02, he or she will be charged with Operating a Vehicle After Under Age Consumption. An OVUAC charge could be considered a fourth-degree misdemeanor and could be punishable by a class 6 driver’s license suspension. A remedial driving instruction course. For a second OVUAC conviction, the fine could be increased to $500, the jail sentence to 60 days and the license suspension to five years. If an underage driver has a BAC more than 0.08, he or she could face even stronger penalties. If you or a loved one faces charges for DUI under the age of 21 in Columbus, Ohio, or the surrounding areas, contact Joslyn Law Firm. Our attorneys understand the complexities of DUI cases, and they can work with you to ensure your rights are represented. Call (614) 444-1900 o schedule a free consultation today. Begin protecting your future immediately. ComFest is one of the largest organized annual events in Columbus, and each year it serves as one of the busiest times for local and state law enforcement agencies in the area. The festival, held at Goodale Park in the Victorian Village area, is aimed at gathering the community for a weekend of musical performances, entertainment, food and drinks, art and other festivities. Hundreds of people volunteer each year, helping the festival thrive since 1972. This large gathering of people often leads to several arrests. Law enforcement officers take an active role in ensuring the festival is safe and those in attendance obey the laws. In previous years, the festival has been closed early because of rowdy festival goers. Local law enforcement agencies have undercover officers in the crowd at the event searching for those committing various crimes, including underage drinking, open container, drug trafficking, drug possession, possession of drug paraphernalia, disorderly conduct, assault and more. Agencies also schedule drunk driving checkpoints near the festival to catch those who consume alcohol and get behind the wheel. These checkpoints can lead to a plethora of types of OVI arrests, all of which can carry steep consequences. In Ohio, a first offense OVI is first-degree misdemeanor, which is punishable by a minimum of three days in jail and a maximum of 180 days in jail, fines up to $1,075 or both. A second offense within six years could be punishable by between 10 and 180 days in jail, $300 to $1,500 in fines and a driver’s license suspension between one and five years. A third DUI offense would be considered much more serious in Ohio. Depending on the situation, this could result in two or more years of an administrative license suspension, between two and 10 years of a court-issued license suspension, lengthy jail sentences, up to $2,750 in fines and a mandatory treatment program. The penalties for an OVI offense can change depending on several factors, including the driver’s level of intoxication. If the results of a chemical test indicate an alcohol level of 0.17 or above, the penalties could be enhanced. This could mean longer jail time, expensive fines and an extensive driver’s license suspension. Drugged driving also is serious offense, and drivers could be targeted during ComFest. These checkpoints are used to catch drivers who may be under the influence of certain prescription drugs or illegal narcotics, including marijuana. The penalties would be the same as an OVI charge. This event has a huge police presence, and visitors should be careful coming and going from this event. If festival goers are arrested for an offense, it is important to remember your rights, including the right to an attorney. Call Joslyn Law Firm at (614) 444-1900 to schedule a consultation with dedicated and experienced legal counsel and begin fighting the charges today. Thousands of people have been pouring into Ohio this week for the Memorial Tournament in Dublin, and the onslaught of people could mean more drivers getting behind the wheel while under the influence. The event, which concludes this Sunday after one week of play, is a PGA Tour golf tournament played on a golf course within Muirfield Village Golf Club. The tournament was founded nearly 40 years ago, and since then has been a significant attraction for the community. Now, the event is known for more than just its grueling course. In addition to the tournament itself, there are several other activities, including a benefit concert and multiple hospitality suites and air-conditioned tents with full-service bars. This week-long party atmosphere sometimes can lead to attendees drinking alcohol and getting behind the wheel. In Ohio, a person can be charged with an OVI offense if he or she is found to be under the influence of alcohol, a controlled substance or a combination of substances. 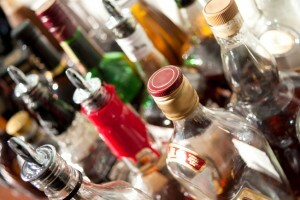 Chemical tests often are used to detect a person’s level of intoxication. If a person is found to have a concentration of 0.08 or greater in his or her blood, breath or urine, he or she could face DUI charges. If the intoxication level is greater than 0.17, penalties for the offense could be much worse. The penalties associated with a DUI offense are largely determined by the alleged offender’s previous criminal record, the person’s level of intoxication and if there are any aggravating factors present, such as injury or property damage. A first DUI offense without aggravating factors could be considered a first-degree misdemeanor. This could carry up to 180 days in jail, a fine up to $1,075 or both. The accused would be required to serve a three-day jail sentence. Additionally, a person could be sentenced to an intervention program and have his or her license suspected. 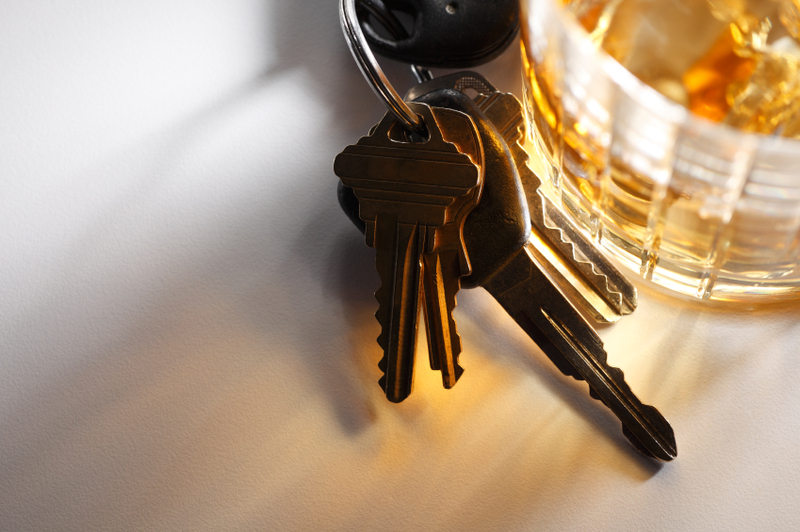 If a person is accused of a second DUI offense, the consequences could be much more severe. This could include a 10-day mandatory jail sentence, up to 180 days in jail, fines between $300 and $1,500 and a driver’s license suspension between one year and five years. A third offense could carry serious penalties, including an administrative license suspension of two years or more, between two to 10 years of a court-issued license suspension, a mandatory treatment program, fines between $850 and $2,750 and up to 60 days minimum jail term. For offenders who live out of state, the ordeal of facing criminal charges could be much more difficult. This could be an extensive struggle, one that affects both your time and money. For instance, a person — no matter where they live — could be required to appear in court within 10 days of a DUI arrest. If an out-of-state offender is not represented by a defense lawyer, he or she you must attend all court dates thereafter in person. However, if the person has experienced legal counsel, an out-of-state offender may have his attorney appear on his or her behalf. If you are an Ohio resident or a out-of-state visitor here for the Memorial Tournament facing OVI charges, having an experienced DUI lawyer licensed to practice in Ohio is critical to your defense. The attorneys at Joslyn Law Firm are proactive, aggressive and focused on providing legal representation that is both productive and comprehensive. Call (614) 444-1900 to schedule a free consultation and learn more about how you can fight DUI charges. The alcohol limit of beer made and sold in Ohio could increase from 12 to 21 percent if a proposed bill makes its way through the Legislature this session. State Rep. Dan Ramos has been the driving force behind the change. He originally introduced the idea into legislation in 2011. After it failed, he proposed it again in 2013 before creating what now is known as House Bill 68, according to Cleveland.com. If the bill passes, breweries would be able to manufacture beer with an alcohol by volume content up to 21 percent and sell and distribute any beer with an alcohol percentage up to the maximum. The nearly 130 breweries in Ohio currently cannot exceed a 12 percent alcohol by volume content. Beers with higher alcohol volumes are manufactured and sold in several of Ohio’s bordering states. In fact, Kentucky, Michigan and Pennsylvania do not have a limit on the alcohol content of beer, although some have restrictions on ciders. When drinking these high-volume beers, it is important to remember they may affect your body differently than a beer with only 5 percent alcohol. In other words, you could become intoxicated faster and it could take fewer of these beers to put you over the legal limit. In Ohio, drivers could be charged with an OVI if they are under the influence of alcohol and have a blood alcohol concentration of 0.08 to 0.17 while operating or driving a motor vehicle, according to Ohio Revised Code §4511.19. These drunk driving charges always should be taken seriously. A first DUI charge in Ohio likely would be a misdemeanor of the first degree. This could carry up to 180 days in jail, fines up to $1,075 or both. Additionally, a conviction could have a serious impact on subsequent charges. However, if a person is found to be significantly over the legal limit, the punishments could be much more severe. 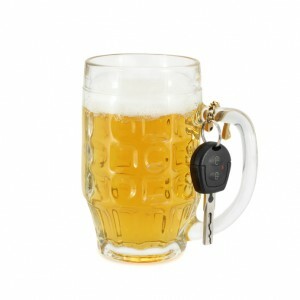 If a driver has an alcohol level of .17 or above, or .238 (two hundred thirty-eight thousandths) or above in the urine, he or she may be arrested for a high test DUI. According to Ohio Revised Code §4511.19, a high test DUI could charge could mean up to six months in jail. This also could include a fine between $375 and $1,075. Even after the jail time and fines, drivers could face penalties associated with their driver’s license. The court could order a driver’s license suspended for a period ranging from six months to three years. An ignition interlock device also could be required. This device would be installed in the driver’s car and it would prevent the vehicle from starting without a clean breath sample. No matter the offense, a DUI charge always should be handled immediately. The consequences of a conviction could outlast the court-issued punishments. Having an experienced DUI defense lawyer could make the difference in your case. 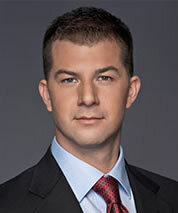 Call Brian Joslyn of Joslyn Law Firm at 614-444-1900 to learn more about fighting DUI charges. Memorial Day weekend is the official beginning of summer for most, and this means an increase in families traveling on the roadway for picnics, vacations and parties. AAA predicts more than 1.45 million Ohioans will travel at least 50 miles this upcoming weekend. However, this fun holiday can be one of the most dangerous times to travel, according to the National Highway Traffic Safety Administration, which reported 377 crash-related fatalities during the Memorial Day holiday period in 2012. These crashes could be caused by a variety of factors, including driving under the influence, which tends to increase during this holiday weekend. A person can be charged with driving under the influence of drugs or alcohol in Ohio if he or she is found to be intoxicated by either substance or a combination of substances. This could be demonstrated by the person having a blood alcohol concentration of 0.08 or greater or if he or she fails a different chemical test. Law enforcement agencies throughout the state will be cracking down on those who drink and drive during this weekend. Checkpoints and road blocks likely will be set up throughout Franklin County and the surrounding areas to deter drunk driving and catch those who violate the law. The penalties for a DUI, or OVI, offense could be harsh and could include jail time, expensive fines and other restrictions. If a person is accused of causing damage to property or injuring another person as a result of a DUI-related crash, he or she could face severe sanctions. Some of the worst DUI-related accidents are those in which a person is killed because someone decided to get behind the wheel drunk or under the influence of drugs. This could be considered an aggravated vehicular homicide charge. These cases are not handled lightly, and the prosecution is adamant about getting a conviction. Generally, OVI aggravated vehicular homicide charges are considered second-degree felonies. This could mean between two and eight years in prison, court-adjudicated prison time, $15,000 in fines and a Class 1 driver’s license revocation for the rest of the person’s life. If a person is convicted of an OVI aggravated vehicular homicide and he or she had a suspended or revoked driver’s license at the time of the offense, it could be considered a first-degree felony. Penalties for the offense could include between three and 10 years in prison, court-adjudicated mandatory prison time, $20,000 in fines and a Class 1 driver’s license revocation for the rest of the person’s life. Having prior traffic-related homicide, manslaughter or assault offenses also could make an OVI aggravated vehicular manslaughter charge a first-degree felony. The penalties could be the same as if he or she did not have a valid driver’s license at the time of the offense. Certain other prior offenses could make an OVI vehicular homicide charge a first-degree felony, including three guilty adjudications of OVI in the last six years, a guilty adjudication for a second or subsequent felony DUI offense or three guilty adjudications of physical control OVI in the last six years. This first-degree felony could mean between 10 and 15 years in prison, a $20,000 fine and a Class 1 driver’s license revocation for the rest of the person’s life. If you have been accused of this offense, having an experienced DUI defense attorney on your side could be critical. No matter the situation, getting behind the wheel intoxicated during this holiday weekend is a bad idea. This scenario could lead to getting arrested for an OVI or possibly harming someone because of a crash. Your future and the lives of others should not be put at risk. Have a designated driver on hand if you do decide to imbibe, and have a safe holiday weekend. A new device that would allow law enforcement officers to determine if a driver is under the influence of marijuana soon could be developed based on a prototype created by two University of Akron students. Mariam Crow and Kathleen Stitzlein, graduate students in biomedical engineering, won a $10,000 inventors’ award for developing the sensor that could determine if a person is intoxicated by marijuana within minutes of the test, according to Cleveland.com. The device, currently called the Cannibuster, uses saliva testing and lab-on-chip technology to determine the concentration of the chemical in the bloodstream. According to the creators, this could essentially provide police with a quick, accurate result. The students, according to the university, hope to eventually market the small roadside testing device to law enforcement agencies in states where marijuana already has been legalized. Some of these states have set 5 nanograms or less of THC, the active ingredient in marijuana, as the legal limit for drivers. However, the technology to accurately measure levels of the chemical on the roadside currently does not exist and processing test results could take weeks. Officers rely on the use of Drug Recognition Experts to determine if the driver is impaired, but the level of impairment still could be debated. According to Ohio Rev. Code § 4511.19, if a driver “has a concentration of marihuana in the person’s whole blood or blood serum or plasma of at least two nanograms of marihuana per milliliter of the person’s whole blood or blood serum or plasma,” he or she could be considered impaired. Currently officers use several factors to determine if a person could have used drugs, such as blood shot eyes, slurred or nonsensical speech, difficulty standing or walking and delayed reactions. If marijuana use is suspected, officers can ask the driver to submit to a chemical test. 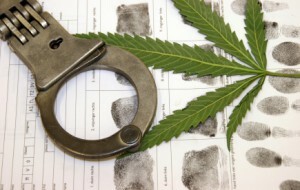 If a test reveals an illegal amount of marijuana in the offender’s system, he or she could be charged with an OVI offense the same way a drunk driver would be. The offense sometimes is referred to as “drugged driving,” and it should be taken seriously. The potential consequences of a marijuana DUI offense vary depending on the driver’s prior record. The charge typically is a first-degree misdemeanor for a first offense. This could mean a minimum of 72 hours in jail that can be extended up to 180 days, a fine of up to $1,075 and a mark on the person’s record. However, the court also could compel the offender to take part in an intervention program in lieu of prison time or in addition to it. These combined times cannot exceed 6 months. If a person is arrested for a second OVI offense — whether intoxicated by alcohol, marijuana or drugs — the penalties could increase. When a person is convicted of an OVI with marijuana charge, he or she could face consequences in all aspects of life. For instance, a conviction could mean temporarily losing the right to drive, which could affect your ability to work. Additionally, auto insurance rates could increase or a driver could be dropped from his or her policy. The best way to avoid the hassles of an OVI is to avoid a conviction. These cases often are complex, and proving a driver is over the legal limit of marijuana use can be difficult. An experienced and skilled attorney at Joslyn Law Firm can fight on behalf of you. No matter the situation, they can help you strive to get a favorable outcome in your case. Call a Columbus DUI defense attorney at Joslyn Law Firm at 614-444-1900. We can work one-on-one with you to ensure your rights are represented and your side of the case is presently eloquently and accurately. We work with clients throughout Central Ohio. More drivers throughout Ohio who are stopped for suspicion of drunk driving are refusing to submit to a chemical test, despite facing criminal and administrative repercussions. According to Ohio Bureau of Motor Vehicles data, nearly 83,000 Ohioans were under an administrative license suspension in 2013, the Telegraph-Forum reported. Of those thousands, 54 percent of the suspensions were for drivers who refused a breath test. Ohio is one of many states that is considered an implied consent state. This means when a police officer stops a driver for suspicion of driving under the influence, he or she is expected to consent to a test of his or her blood, breath or urine to determine the level of intoxication, if any. This would apply to all drivers, whether or not they are residents of the state. After an arrest for operating a vehicle under the influence of alcohol or controlled substances, or a DWI, the arresting officer is required to read a warning to the alleged offender under Ohio Rev. Code § 4511.192. This warning would explain the consequences of refusing to submit to chemical testing. When a person refuses the test, his or her license will be administratively suspended immediately and he or she will be required to attend a hearing in court about the matter. This driver’s license suspension is done separately of the criminal charges that could be filed against a person. A suspension could last for up to one year, depending on the circumstances of the case. In some instances, an administrative suspension could be longer, depending on several factors. For instance, the judge at the hearing could insist the suspension be extended. If a person refuses a chemical test more than once, he or she also could see increased penalties for subsequent refusals. Additionally, the criminal offense of refusing to submit to a breath test also could carry a license suspension separate from the administrative penalties. The offense would be considered a misdemeanor of the first degree. The data from the Ohio Bureau of Motor Vehicles also showed that 46 percent of the drivers who had their license suspended in 2013 were drivers who blew a positive breath test. This means even without a refusal, a person could face administrative penalties. Drivers have the right to appeal the administrative penalties associated with a DWI, or DUI. Drivers, however, must appeal the suspension within 30 days of the suspension notice with the Bureau of Motor Vehicles. This petition may be filed in the municipal or county court that has jurisdiction over the place where the arrest occurred. A person could be granted an administrative hearing, which is separate of the criminal case, in which he or she could present evidence and examine witnesses to exhibit why driving privileges should not be suspended. A positive outcome in the hearing could mean having driving privileges reinstated. If you have had your license suspended as a result of a DUI breath test refusal or you produced results over the legal limit, contact Columbus DUI defense attorney Brian Joslyn of Joslyn Law Firm. Our legal team is experienced in fighting both administrative and criminal penalties associated with DUI charges. We can help you regain your driving privileges. Call (614) 444-1900 to schedule a free initial consultation. As a dedicated criminal defense attorney, Brian Joslyn aggressively fights to protect both the records and futures of his clients.